last weekends brings so many touching bliss that i hardly to reiterate. On Saturday i arrived early as baby's mom let, for baby's music lesson postponed. we played pc games till baby tired&slept on my shoulders. his mom left awhile to visit her school, i shown her pupils there baby's album i ordered online from 163.com with a discount from my blogging there. a visiting guest, a fat woman, baby's mom's friend, with her son who is baby's kindergarten classmate, also shown her admire upon the album. but baby's mom complained costly. baby woke up exactly when i laid comment improperly on my future relation with QRRS, my once employer. baby asked for gaming again. for to late for QRRS canteen's dinner time, i ate dinner there, with baby. his mom reported after visited bank that my salary, as well as the bonus rumored from my once colleague in office, both didn't transfer into my bank account. she agreed my settlement that i should live with what God offered, no hustle to make baby's life different from what we endorsed now. the second snow, a heavy one, likely covered the half night. on Sunday morning i saw the beautiful scene. 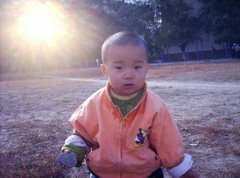 i played pc games with baby till he left with his mom to join his delayed music lesson in the direction of center of Qiqihar. there r moments so precious i enjoyed with my Taiwan girl. baby witness&correct some of my misleading. i sent he&his mom to bus, then returned to QRRS dorms by bus. i soon on bed napped, till coldness woke me up for i only cover myself with a woolen sweater. the joy in my heart so full, that i had to roam outside, ate dinner early around 4pm. after these, i still feel need to thank God for the bliss, so i look out for the local church. i don't want to join the praying party in church, early to the meekly sermon, but i m in urgency to be with God sole&alone, so i intended to join Internet Cafe to kill some time, even i dislike Chinese Internet cafe very much for dirt in it&among the surfers. then i found the church open, &the priest there chatting. so i approached, discussed him with my oath with God, my free of duty to support the church this moment assured by Heaven. when they started praying, i left to dorm, rejoin the church 6:27pm. a woman offers preach, which not so strong, but described half faith in God like many trifle family wives do. in night i woke up to make water 3 times. 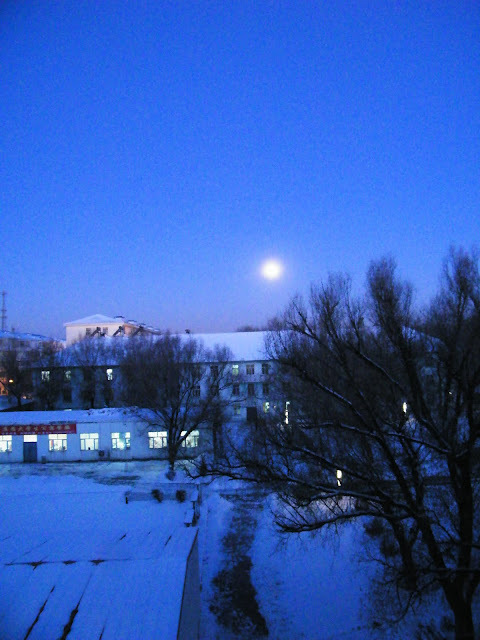 the full moon so bright in dawn, that i photographic her beautiful face at once when half nuked after urinated. God, save my work online, bring me my Royal of China, my family in warm places. God, thx for ur bliss which makes my life so meaningful&rich of beauty. God, never let me fail my girls, or the reverse. for google's picasaweb blocked within China mainland for years, here some digest hosted domestically. QRRS front space in heavy snow. 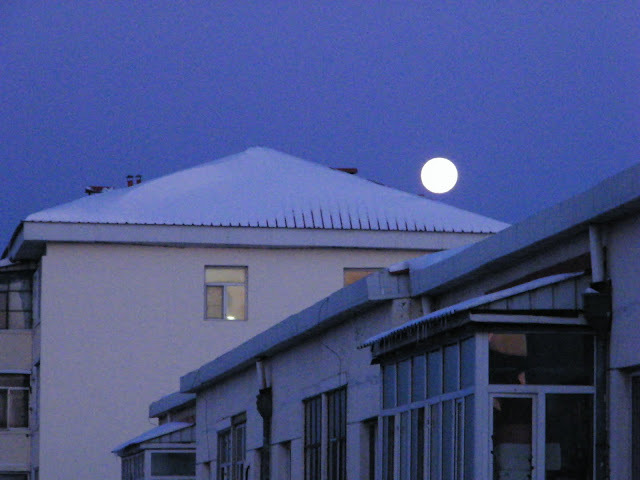 late full moon rarely hangs above dawn sky of QRRS residential area.